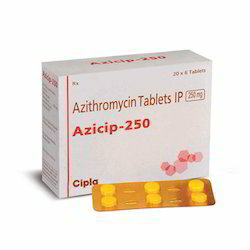 To cater the increasing requirements of our valued clients, we are offering a large array of Azithromycin Tablets to our valued customers. As per the precise requirement and needs of our clients, we are offering these tablets in different packaging options. Offered tablets are broadly admired by the customer owing to their customized features and used as. Xbira 250mg Tablet to our valuable clients. Xbira is a prescription Drug and should be used under Proper Medical Guidance and Advice. 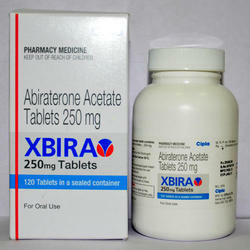 Xbira contains Abiraterone Acetate Tablets 250 Mg. Xbira is available in 250 Mg Strength. Xbira comes in a pack of 120 Tablets. Xbira is manufactured by Cipla. Hepcinat-LP contains a combination of ledipasvir and sofosbuvir are antiviral medications that prevent hepatitis C virus (HCV) cells from multiplying in your body. 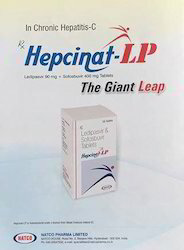 Hepcinat-LP is used to treat hepatitis C in adults. 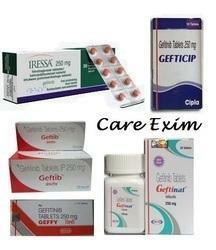 We are the exporters of Hepatitis Cure Medicines. We provide drop shipping facility around the globe. Our valued customers can purchase from us an extensive assortment of Gefitinib Tablets. These are composed by highly talented professionals by taking high grade quality compounds, according to the industry standards. Offered Geftinib product is used for the treatment of non-small lung cancer cells. To cater the individual requirements and demands, we are offering these products in diverse packaging options.